Nigeria is poised to celebrate her independence on 1st October, 2018 and some of the grandstanding show that day is Nigerian Airforce showcase of their strength and coordinations to at least instill fear in the hearts and minds of every other country looking to challenge Nigeria in power. It is also an avenue to instill fear in the hearts of terrorist and any individual seeking to taste the strength of the federal government. 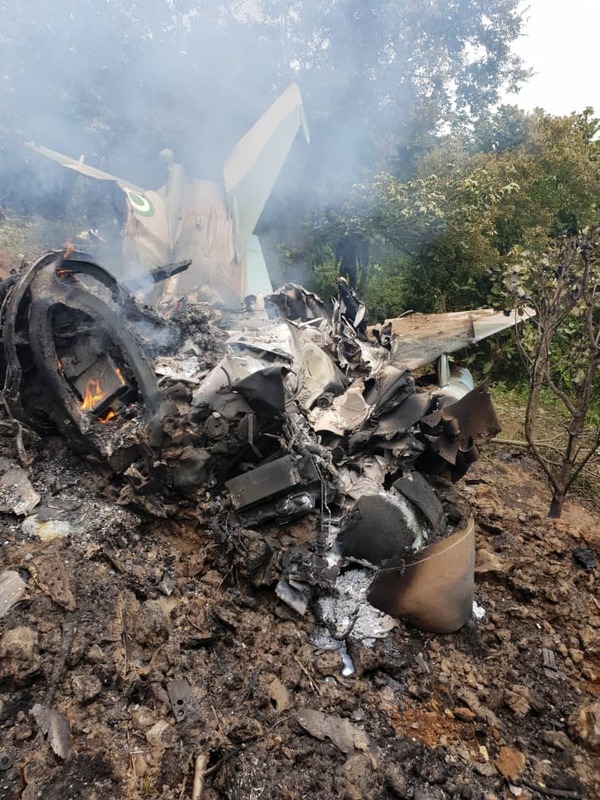 In preparation to the D-day, pilots flying and tasting the said fighter jets crash in Abuja yesterday, killing one, injuring others while some also were rescued unhurt. 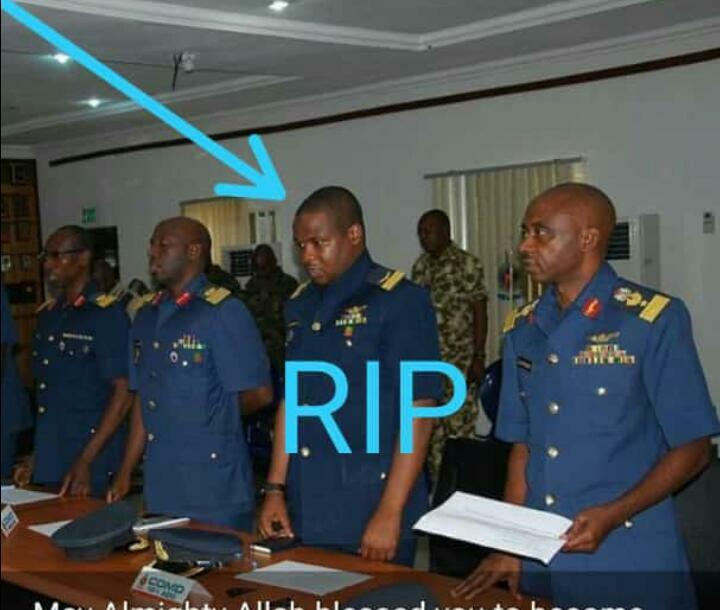 The two Nigeria Airforce, NAF jets crashed a few metres from each other, during aerial display rehearsal ahead of Nigeria's 58th Independence Day celebration on October 1. The jets crashed inside a bush at Katampe Hill along Kuwa Expressway in Abuja, the Federal Capital Territory. The two F- 7 pilots Flt Lieutenant Ambi and Flt lieutenant Abutuba Survived because they managed to eject before the aircraft went down. 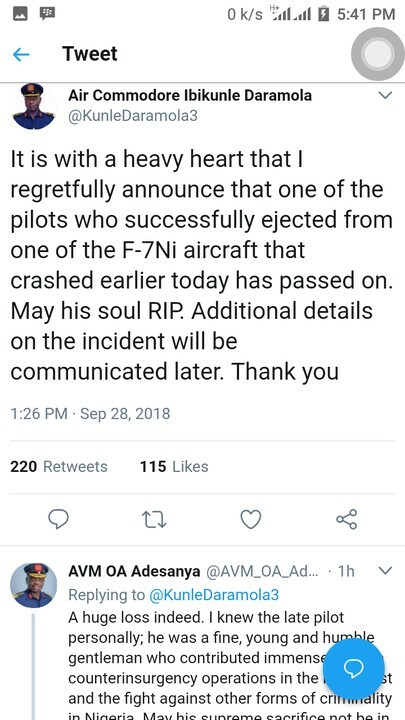 Unfortunately Squardron Leader Babaari died in the crash. 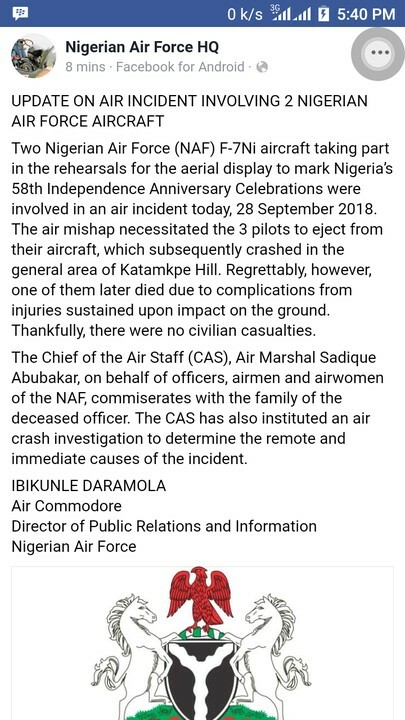 The Nigeria Airforce however released a statement on the crash.